AptaraDirect converts your content into mobile-ready format so your readers can access it how and where they want. We allow authors and publishers to create eBooks and convert content with just a few mouse clicks. It's cost efficient and hassle-free. Keep pace with ever changing digital technology and the eBook format landscape with Aptara's technical expertise, relationships with device manufacturers, and experienced eBook publishing team. AptaraDirect encompasses an easy-to-use web portal for converting source content, in any format, for use on eReaders, tablets, and smartphones. AptaraDirect gives you the comprehensive tools you need to take your manuscript to digital. 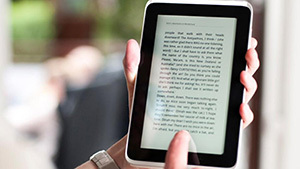 Let us handle making and distributing your ebook, hassle-free.